As part of Civil Service Local – East Midlands’ community engagement programme, the CS Local team and the Bulwell Academy, a local secondary school, organised a special Directors Tour designed to give students a clearer understanding of the justice system and how it works. The tour had three main elements starting with a visit to The Bridewell Custody Suite in central Nottingham following the journey of the prisoner through the Courts to HM Prison Nottingham. The tour was very much designed to help students understand how the elements interlinked and understand the realities of this service. So much information shared with young people focuses on what will happen if they commit crime rather than understanding how the process works and what the emotional and financial costs are. 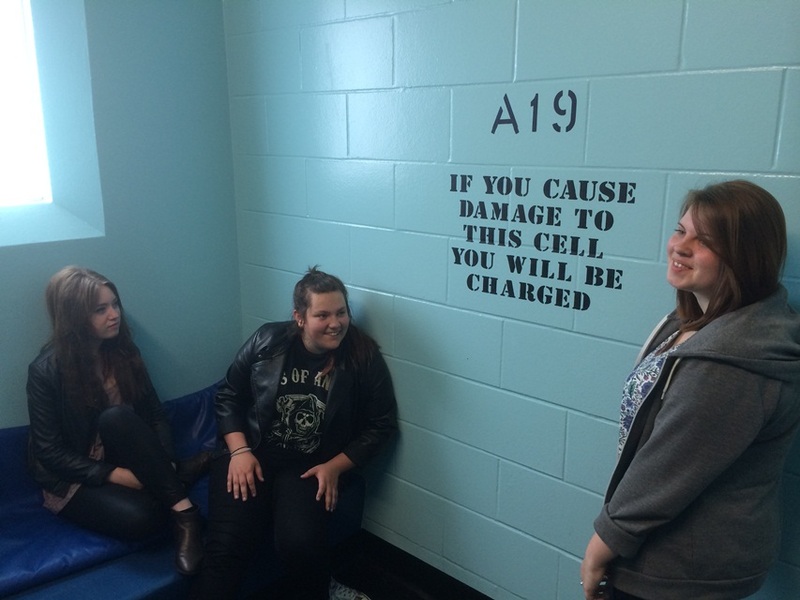 At The Bridewell Custody suite, students learnt about prisoner rights and how prisoners progress to Court. Standing in the cells was a particularly daunting experience for students for whom the harsh reality of what the loss of liberty actually means began to make real sense. Students then met magistrates from the courts who explained how the court system works in England; again, the realities and understanding of the magistracy was tremendous. Our young citizens asked questions and were, at times, quietened by all they saw and heard. The final element, the visit to HM Prison Nottingham drew everything together and student Lara Das Fontainhas shares her thoughts on this. When I first heard about our Crime and Punishment programme I felt that it had been organised to tell me that, if I commit a crime, there will be consequences. I had never actually thought that in a few years or so we are all going to be tax payers funding this service; it made me look at everything with different eyes. The prison visit was a tremendous eye-opener because the media seems to imply that prison isn’t really tough. We toured the prison, talked to the senior leaders including the Governor. I realised that many services are available to prisoners including education, mosques and medical care, however, your freedom is taken away. We met a couple of prisoners as we toured around and I was surprised by how normal they were but they all were quick to say that you do the crime, you have to do the time. We had lunch with the Governor and heard the account given by one prisoner called Andrew of his life behind bars. Being able to listen to Andrew’s experiences made me reflect that we were thankful not to be in his position or have had the experiences he had. After the visits we reflected on everything we had learnt from the visit to the custody suite to the courts and on to the prison. I sat there thinking about the work of those outstanding staff I met, they do a wonderful job to try and keep Nottinghamshire a better and safer place for us and our family and friends so when it comes having to pay tax to cover these costs, I’d be happy to do so.